The courtroom was over-full and family members of the defendants had to be accommodated in an ante-room outside of court with a large-screen television showing the proceedings. The trial opened with submissions on behalf of all the prisoners in respect of the chaotic conditions in the courtroom. It was said that the prison conditions were preferable. The defendants and their lawyers were seated without order, with very little space, and interspersed with members of the Jandarma. -on the perceived partiality of the presiding judge. The judge asked that political submissions not be made but they continued regardless. The judge also noted that it would be unfair not to allow the defendants to speak in Kurdish if they were unable to speak or understand Turkish. After the luncheon adjournment, further submissions were made on the issue of using Kurdish in the courtroom. When this submission was rejected “because there is no conformity in the political consensus,” and a defendant attempting to speak Kurdish had his microphone cut off, the defending lawyers walked out of court in protest. Their place was taken by members of the Jandarma. The Turkish observing lawyers also walked out although the international delegation remained. At length the defendants’ family members were permitted to sit in the area vacated by the Turkish observers. There followed an interrogation by the judge, in inquisitorial fashion, of each of the defendants. This involved asking each defendant in turn whether he or she accepted certain facts such as the date on which they were arrested and the contents of their police statements. All of the defendants save one attempted to speak in Kurdish, and each had their microphones switched off in turn. One defendant (who was of Arab origin) answered in Turkish. I was subsequently told that one defendant specifically stated in Kurdish that he did not accept the contents of his police statement, but that the judge recorded him as saying that he did, which contrasted with June 2012 when those speaking Kurdish were transcribed as inaudible or incomprehensible. During a five-minute adjournment in the afternoon session, relatives of the defendants rushed the wooden barrier to see their loved ones but the Jandarma intervened to prevent them. Defendants were then allowed to come forward one at a time to greet the family members. On return from this adjournment a final defendant rose to say in Kurdish, “I am Kurdish and I am speaking in Kurdish. You can bring an interpreter or not, I will speak my language.” The prosecutor then requested that all the defendants be detained again without bail. The judge rose to consider. The court was in session from 10.30am to 12.30pm and from approximately 2pm for no more than one hour. The judge’s decision to adjourn until 3 January 2013 and to refuse bail to all the defendants remaining in custody was announced at approximately 4pm. The court sat for no more than 3 hours during the course of the day. The trial continued at Koaeli Prison complex in Silivri. There was a reduced, but still noticeable, Jandarma presence. International observers were required to surrender identification documents along with their mobile phones on entry into the court. The court building was much larger than the one used in November 2012, and the international observers were allowed to walk around it and use all of the facilities. In November 2012 people were allowed into the building a few at a time and segregated into observers and family members (the family members being kept in the anteroom outside the courtroom). It was also extremely crowded in the entrance areas. In this building there were no restrictions on movement either from crowding or from the Jandarma. The international observers were allowed to use the advocates’ room with the defending lawyers. The courtroom itself was extremely large. In fact, we learnt later that it is the largest in Europe. It was far longer than it was wide, and at the extreme front sat judge, prosecutor, defending lawyers (in banks of seats on the right which face left) and defendant lawyers (in banks of seats facing forward in the centre). The international observers were sat in banks of seats at the far rear of the courtroom. In between, there were rows and rows of seats in three sections, with seats on the right and left facing sideways and fronted by bench-style tables, and seats in the middle facing forwards. The seats to right and left had signs on them saying “AVUKAT” (lawyers). Jandarma sit at random towards the rear of the “Avukat” seats. Again, the defendants were sat in the very front of the middle section, lawyers in the very front on the right. We were seated so far away from the bench that it is impossible to see anything of the judges or the prosecutor other than the tops of their heads. We could make out when the judge stood up, sat down, or made particularly effusive arm gestures, but we were not able to see any of his facial expressions. We were told that there had been a change in personnel; both of the two secondary judges and the prosecutor have been changed. No explanation had been given to the defending lawyers for these changes. The defendants gave their evidence to the judge. In the morning sessions, the defending lawyers intervened only in order to object to questions. In the afternoon sessions, defence cases were interspersed with submissions by individual defending lawyers. The submissions were made on behalf of all of the defendants. There was very little difference between submissions made by the defendants and those made on their behalf. Some defendants and defending lawyers made political speeches about the status of Kurds in Turkey. One defendant told a story of watching his village being destroyed at the age of five, another of civil unrest by fascists against the Kurds. Others complained that the basis of the prosecution’s evidence is merely the “subjective hypothesis” of the police concerning the lawyers’ activities and refer to the “fictional leadership committee” to which they allegedly belong. Repeated requests were made both by the defendants and the defending lawyers for Abdullah Öcalan to be called as a defence witness. One defendant said, “Since the first hearing our lawyers and we have been saying this case is about Abdullah Öcalan and his conditions. All the indictments are about him. I therefore request him as a witness.” Another pointed out that this request has been made repeatedly for two years with no decision being made. The point was also repeatedly made that as part of the peace process, members of the BDP and of Erdoğan’s government are now visiting Öcalan on İmralı and conveying the content of their discussions to the government and the press. The question was repeatedly asked how it could be that the crimes with which the defendant lawyers are charged are based on the exact same actions as those now sanctioned by the government as part of the peace process. The defending lawyers stated that the judge should be acting to reject the case because of the weakness of the evidence and on the basis that the Heavy Penal Court is a creature of a statute that has since been repealed. One lawyer said “Technically speaking you should not have taken on these cases. This is a temporary court not a criminal court. There’s no legal basis for these courts.” It was suggested that the temporary status of the court might be affecting judicial decision-making. Another defending lawyer said that in all of the intercept evidence (said to be illegal in any event) there was no mention of a leadership committee, and that the indictment was therefore “baseless,” with “no evidential foundation.” It was further stated that the entire case has been built on a statement of an individual named Irfan Dündaz, who is “neither witness nor accused,” and which statement has apparently since been retracted. The final defendant, a journalist, spoke at length about the nature of his work and about his visits to a refugee camp in Syria. He said that the police alleged that this was a PKK camp, but in fact it is an internationally-recognised refugee camp. He added that he didn’t know many of his co-defendants until the trial began and that while the indictment claims he presented some evidence to them, the source of that information was not him. In respect of the rest of the defendants, the judge asked whether they had visited İmralı; what the legal basis of these visits was; and if they went to any meetings before or after their visits. The defendants responded variously that they conducted visits and meetings as part of the normal course of their work; or that they would not respond to certain questions on grounds of legal privilege. The judge asked one defendant if he had anything further to say about the visits, and another whether the contents of his police statements were accepted. Apart from these interventions, the judge spoke only in response to being directly addressed by one of the defendants or defending lawyers, or to chastise a defendant or defending lawyer for political commentary. There were some heated exchanges between the lawyers and the judge in which the lawyers accused the judge of bias and the judge responded that he would not be taught how to run his court. The prosecutor’s only input throughout the whole day was at the end of the afternoon session to request that the arrest warrants for the defendants still in custody should continue and that their detention should also continue. After a ten minute adjournment the judge announces that he will not hear from Öcalan and that no further defendants are to be granted bail. No reasons are given for his decisions. The court’s attitude towards the international observers can be described as ambivalent. The first hearing in the matter was heard at a court in Istanbul. I am told that this court was too small to accommodate all of the observers. I am not certain whether there is any court inside Istanbul of sufficient size; in any event, the entire proceedings were then moved to the courthouse in the Koaeli prison complex. At the November hearing, the courtroom was still too small to accommodate the family members of the relatives in addition to all of the Turkish and international observers. However, since then the proceedings have been moved to a courtroom in the same complex which is the size of a sports field and which I am told is the largest in Europe. There have been no further problems with overcrowding, nor has there been a need to exclude family members from the proceedings. A further justification for moving the proceedings is that the defendants are being held in Koaeli prison. Again, I am not aware whether they have been held there throughout their detention, or whether in fact they were moved when the decision was made to move the proceedings. The location of the trial does provide an obstacle to observers, but one that is easily overcome as the international delegation simply hires coaches to drive them to the prison complex. I cannot say definitively that reducing access to the trial for observers, family members, and the press was any part of the decision to move the proceedings from Istanbul to Silivri, but it seems possible. In addition, two hearings have been scheduled to coincide with festive periods in Western Europe. The first was 3rd January 2013, when only twenty observers attended as a result. Most recently, the next hearing date after the hearing of 17 September 2013 has been set for 19 December 2013. At the hearings, there is always a presence, and has at times been a heavy presence, of Jandarma. However, no body searches are carried out and at the November 2012 hearing the international observers were not even required to produce identification. In addition we are permitted to sit in the courtroom at each hearing and are also allowed access to all the court facilities. At the September 2013 hearing we were permitted to use the advocates’ room as well. I would say that our treatment varies between mild indifference, tolerance and respect. However, it is of note that in the current courtroom, the international observers are seated at the back, and that requests to allow them to move forward, so more easily to observe the proceedings, have been refused at the hearings of June and September 2013. This does hamper our ability to observe what is happening as the prosecutor and judge are seated far too far away for their facial expressions, or even all but the most extreme movements (standing up or sitting down, particularly demonstrative arm gestures, etc), to be seen. In addition, the presence of the international delegation, while the subject of frequent references from the defence, is never referred to by judge or prosecution. In short, I would say that an attempt is being made to comply at a minimal level with any expectation that international observers be given access to the proceedings. In addition to audio and video recordings of Abdullah Öcalan’s conferences with his lawyers, the prosecution’s evidence has been obtained from telephone intercepts, search warrants for business and personal premises, analysis of publications/translations and interviews with media and “technical searches” via telephone signals to identify a defendant’s geographical location, and information from hard disks and physical case files. Sections 135 and 140 of Turkish Law on Criminal Trials provide that, subject to first obtaining judicial authority, communications of a subject or defendant can be traced if an investigation reveals good reason to suspect an offence has been committed and if the evidence cannot be obtained through other methods. The authority can cover sound, audio-visual records and monitoring the person’s behaviour in public areas. In the Öcalan lawyers’ trial, an application for judicial authority was made but the defending lawyers have repeatedly submitted that the authority given was exceeded and that the basis of the order giving authority is questionable. Section 135 TLCT takes into account freedom of communication, which is enshrined in Article 22 of the Turkish Constitution, and thus imposes many restrictions on tracing communications for a criminal investigation. These are based on proportionality, practicability and the ability to obtain evidence by other means – so this sort of evidence should be a “last resort” and can only be used at trial if obtained lawfully. It is asserted that no reasons were given for authorisation of the intercept evidence. How then can proportionality be demonstrated? It is asserted that the telephone recordings do not follow the procedural codes for intercepting telephone calls. Some of the calls took place between two lawyers in relation to one of whom no authority had been obtained, nor had their consent. It is asserted that many of the recordings were outside of the time period for which authority had been given. Personal conversations between spouses were included, the contents of which were irrelevant to the case. As well as the article 6 ECHR concerns raised by all of these objections, this assertion raises additional, significant concerns under Article 8. It is asserted that no authority given for the “technical” searches. Although it may not raise any point under the ECHR, it is noteworthy that much of the evidence in this trial was achieved through a breach of legal professional privilege in relation to Abdullah Öcalan, through the audio and audio-visual recording of his conferences with his lawyers. There have been further breaches in relation to the lawyers’ other clients – case files in relation to other clients were seized and when the defendants requested their return they were returned by the prosecuting authorities to the police, instead of to the defendants. It has been asserted that before a prosecution against a lawyer is taken in Turkey, domestic legislation (the Turkish Lawyers Act 1927) requires that the consent of the Ministry of Justice is obtained, and that no such consent has been obtained before the commencement the Öcalan lawyers’ trial. It is asserted that this nullifies the proceedings. 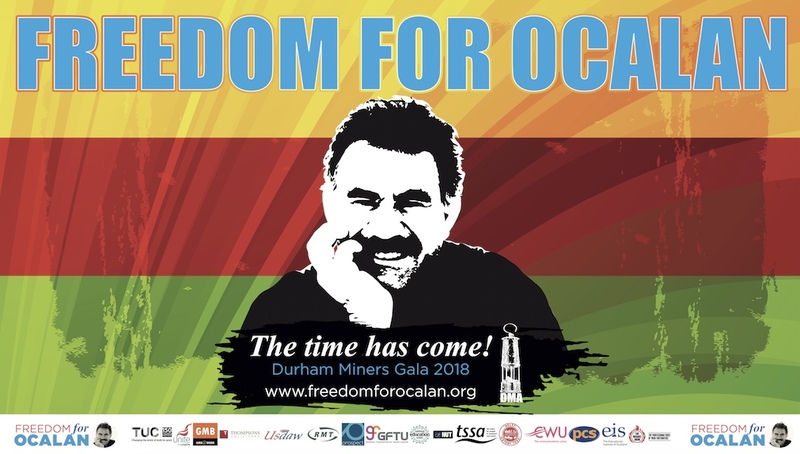 Art 6(1) ECHR provides the right to “trial within a reasonable time.” The Öcalan lawyers’ trial commenced in June 2012, and only six hearings have taken place. This cannot be reasonable. None of the decisions to grant or refuse bail were reasoned. There is no reason to consider that any of the defendants are a risk for absconding or re-offending; those released have been released subject to conditions not to act in “political” cases and not to leave the country, and to reporting restrictions. The reporting restrictions have been complied with to the extent that they were relaxed in November 2012. At the beginning of the trial all the defendants answered bail, including many who returned from outside of the country to answer charges. The defendants are all Turkish-trained lawyers with practices and families in Turkey. The decision at the hearing of 17 September 2013 to refuse to allow the defence to call Abdullah Öcalan as a witness. A notable exception is that at the hearing in November 2012, the judge refused to allow the defendant lawyers to give their evidence in Turkish on the basis that all the defendants spoke Turkish and had made their initial statements to the authorities in Turkish, and that therefore they did not require or need to address the court in Kurdish. As noted above, some of the evidence includes personal conversations between lawyers and their spouses which have no relevance to the trial; some consists of conversations between the lawyers and clients other than Abdullah Öcalan; some is of legitimate articles published by the defendants in magazines and newspapers, works translated or interviews given, arguably contravening Art 10 ECHR. “25.05.2011 meeting between Öcalan and lawyers where KURAN was present, the following subjects were discussed: Kongra Gel’s 8th assembly, developments in North Iraq’s leadership, Iran and PJAK, operations clashes, KCK Europe developments, general election activities, post-election umbrella party organisation developments, letters Öcalan sent to Knadil, columnist’s pieces, etc. And other matters relating to the organisation [emphasis added]. [Davut Uzunköprü] met Öcalan twice during 09-11 and discussed matters as with other lawyers thus relating to the organisation and its agenda. Thus there is no legal substance to the meetings with Öcalan and the suspect, instead, the meetings are used as a tool to discuss organisational mattrs as above. “Suspect [Hüseyin Karusu] is a driver, and drove the suspect lawyers to İmralı on their visits; took part within the leadership of the organisation knowingly and willingly; took part in organisational activities. “When the activities of the senior leadership of the organisation are taken into account, this suspect [Sabahat Zeynep Arat] has shown loyalty; that they are trustable to the organisation leadership; thus they have shown that within the leadership of the organisation that they are reliable, willing and committed to carry out organisational activities. Defence submissions have repeatedly asserted that police statements appear to give opinions on the factual evidence in an attempt to influence the judge. Some such submissions were made at the hearing I observed on 17 September 2013. The trial takes place in the larger political context of the struggle between the PKK and the Turkish authorities, itself an iteration of the still larger global struggle of the Kurdish people for cultural autonomy and rights. Specifically, the initial arrests were made and the trial continues in the context of mass political arrests and political trials – the “KCK trials.” Prisoners held hunger strikes for Kurdish language rights from September to November 2012, to limited success as the laws was amended to allow the use of Kurdish in court subject to certain restrictions. In 2013, the trial has been carried on against the backdrop of a renewed peace process between the Turkish government and the PKK. The multiple procedural flaws identified above, in addition to the politicisation of this trial and the weakness of the evidence, leads this observer to conclude that the charges underlying this trial are in violation of these Articles. Fisher, Tony, “Trial Observation Report: Hearing of 3rd January 2013,” (Report of hearing at Silivri Court Istanbul 3rd January 2013, KCK Lawyers Trial). London: Human Rights Committee, Law Society of England and Wales, 6th January 2013, p. 3. Fisher, Tony, “Trial Observation Report: Hearing of 3rd January 2013,” (Report of hearing at Silivri Court Istanbul 3rd January 2013, KCK Lawyers Trial). London: Human Rights Committee, Law Society of England and Wales, 6th January 2013, p. 1. “Trial Observation Report: Hearing of 3rd January 2013,” (Report of hearing at Silivri Court Istanbul 3rd January 2013, KCK Lawyers Trial). London: Human Rights Committee, Law Society of England and Wales, 6th January 2013, p. 5. Specifically, they returned from Iraq and Syria. “Trial Observation Report: Hearing of 3rd January 2013,” (Report of hearing at Silivri Court Istanbul 3rd January 2013, KCK Lawyers Trial). London: Human Rights Committee, Law Society of England and Wales, 6th January 2013, pp. 5-6. “Trial of lawyers for alleged terrorist offences (the ‘KCK Trials’) – Unofficial Translation and Summary of Indictment” (Executive summary of charges against Defendants and evidence on the basis of which conviction is sought by the prosecutor, together with a more detailed summary of the individual charges brought against each of the Defendants), p. 9. “Trial of lawyers for alleged terrorist offences (the ‘KCK Trials’) – Unofficial Translation and Summary of Indictment” (Executive summary of charges against Defendants and evidence on the basis of which conviction is sought by the prosecutor, together with a more detailed summary of the individual charges brought against each of the Defendants), p. 13-14. “Trial of lawyers for alleged terrorist offences (the ‘KCK Trials’) – Unofficial Translation and Summary of Indictment” (Executive summary of charges against Defendants and evidence on the basis of which conviction is sought by the prosecutor, together with a more detailed summary of the individual charges brought against each of the Defendants). Briefing meeting of 5 November 2012, Istanbul Bar Association, İstiklal Caddesi. Fisher, Tony, “Follow-up report by Tony Fisher: KCK Trial of Kurdish Lawyers – Istanbul 6th November 2012,” 8 November 2012. http://international.lawsociety.org.uk/node/12507. Peace in Kurdistan Campaign: Lawyers trial delegation briefing meeting (notes), 23 October 2012. 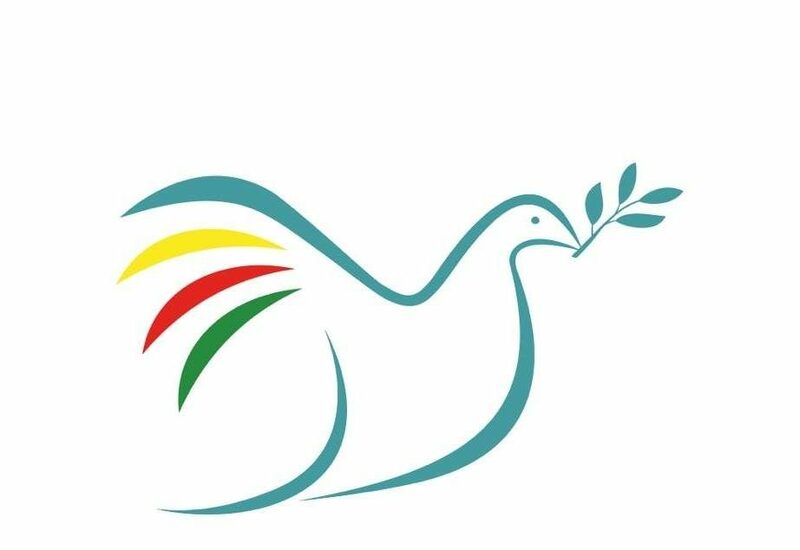 Peace in Kurdistan, Press Release, 5 November 2012. KCK trial delegation: Post-delegation briefing notes, 22 November 2012. Statement of international delegation, November 2012. Fisher, Tony. “Trial Observation Report: Hearing of 3rd January 2013,” (Report of hearing at Silivri Court Istanbul 3rd January 2013, KCK Lawyers Trial). London: Human Rights Committee, Law Society of England and Wales, 6th January 2013, p. 3. Fisher, Tony. “Trial Observation Report: Hearing of 28th March 2013,” (Report of hearing at Silivri Court Istanbul 28 March 2013, KCK Lawyers Trial). London: Human Rights Committee, Law Society of England and Wales, 2 April 2013, p. 2. http://international.lawsociety.org.uk/files/KCK%20Trial%2028th%20March%202013%20Report.pdf. Gingell, Melanie, “Report on Bar Human Rights Committee Hearing Observation: Turkey. A report on a pre-trial hearing in the case of 46 Turkish lawyers, Istanbul – Heavy Penal Court, Koaeli Prison, Silivri,” 28 March 2013. Collingsworth, Didem A. 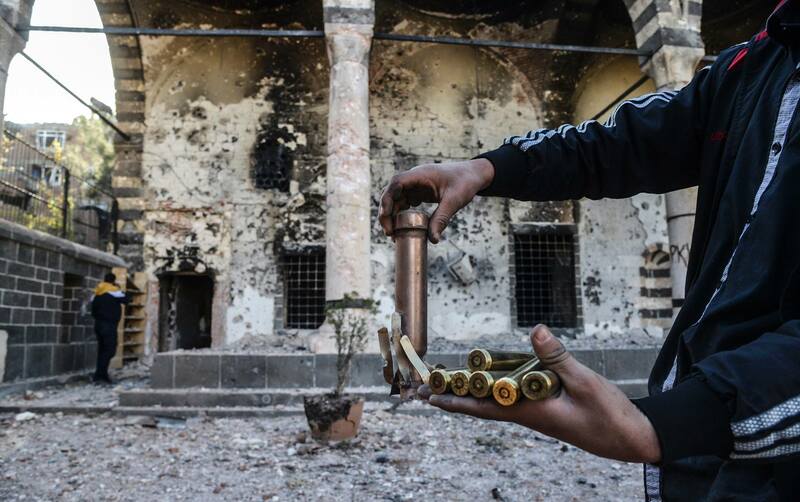 The Kurdish Movement and the Peace talks with Turkey. International Crisis Group, 13 March 2013. Press release of International delegation observing lawyers trial 20 June in Istanbul, 21 June 2013.